Franchise and 24/7 café/restaurants in highly trafficked tourist areas in major cities are not the kind of places I have scored decent scones. So it is with very low expectations that I slide in to a seat at City Extra, Circular Quay. Fortunately it’s not overly busy this particular Saturday afternoon and we nab an outdoor table overlooking the busy Circular Quay thoroughfare filled with ferry commuters, and locals and visitors ambling along enjoying the winter sun and all that the busy hub offers. The inside booths and array of pancakes on the menu makes City Extra feel very American, and back when it opened in 1986, it did feel just that. I don’t expect to find scones on the menu, so I have never bothered to stop by, which is a shame as the scones are crispy and fresh out of the oven, no soggy microwaved scones here. They taste a bit salty to me, but my partner doesn’t pick it up. I do notice on the busy menu, it’s designed to look like a folded newspaper, that all items are made on the premises. Call me cynical, but I don’t always believe what I read. However, in the scone case, I think they are right! The jam is average, and the fresh cream is from a whipping siphon and is particularly light. 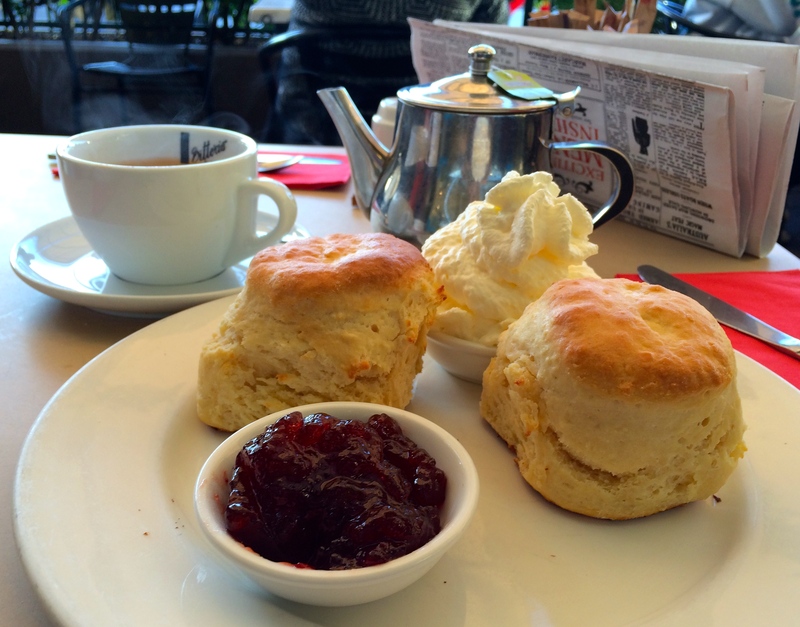 But with scones this good, the jam and cream don’t spoil the spread. The Circular Quay venue has extended trading hours but City Extra Parramatta is open 24/7. Tea: A small selection of Twining tea bags served in a small pot. Overall: A handy location with extended trading hours right at Circular Quay.